First to take the runway was Debrichhio by Antwan Byrd. Debrochhio designs for women who have a passion for life. The collection was well put together with a variety of dress selections. The color selections between white and black created a fresh dynamic. The dresses had low scoops in the front, and different shapes cutout from the fabric to create a modern design. The models wore their hair in a funky style of half up to half down bun. Every season creative director Antwan Byrd tries to grab inspiration from somewhere new. Keeping with the esthetic of the line, also trying to bring something fresh. With this collection at Styleweek he wanted to do something woman warrior theme which is where the models makeup came from. "I focused on Aztec , Armenian, Greek goddess and many others. The concept just flowed from there," said Byrd. Carissa Lynne Designs was breathtaking. Her opening piece of a long, cream color dress that flowed from side to side down the runway, but when posing for the camera had high slits. The attention to detail didn't go unnoticed. 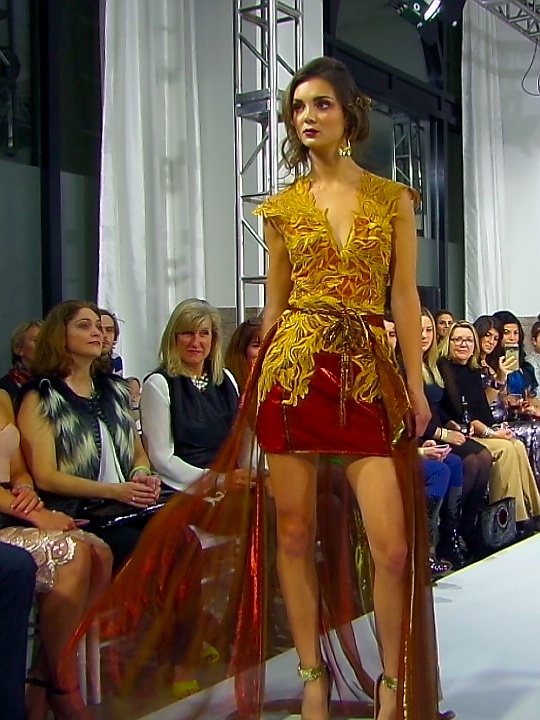 The collection was made up of red and gold sheer, floral prints, and her attraction of molding fabrics into shapes describes the beautifully engraved feathers neatly placed on certain pieces. She did an amazing job with keeping the feather theme by flowing it to hair pieces for the models. Carissa's inspirations for her fall collection is quite simple, "I love autumn so picking colors from the trees is where my collection came from," said Lynne. Her work has an appreciation for the youthful and modern sophisticated woman who is confident, fun and ambitious. The moment I saw Janet Howard's collection, the image of Jackie-o appeared in my mind. Fur, fur and more fur was the theme of this collection. Whether the models had different styles the key factor that remained was fur. It was a nice touch to the collection. Pearls one way or another also made its appearance on the runway. Janet Howard's collection was nothing less than elegant. The attention to detail was out of the water. From the models hair style of a high cone shape to stockings paired with black open toed stilettos. This was my favorite designer of the night. She nailed everything! By far a designer to check out. Dylanium Knits is a genius. He takes his passion for handcrafts and infuses it with his sense of style to create knit designs. I couldn't help but notice the audience love for this collection. Whether they were pointing at which pieces they wanted or the facial expressions of complete love for the collection. The attention to detail of the models hair was beautifully twisted in braids. 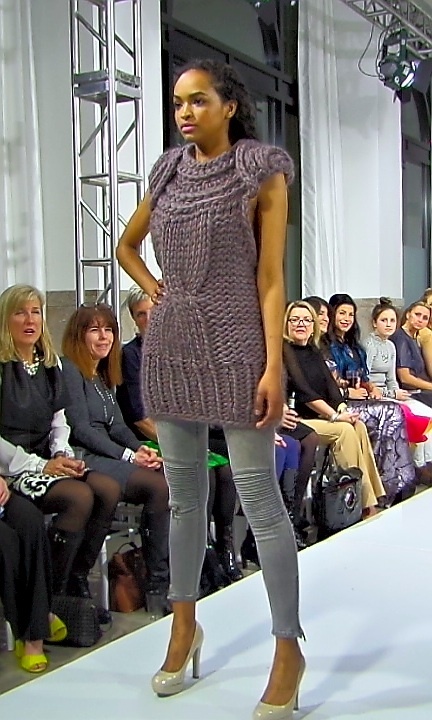 The models graced the stage with sheer woven pieces along with bulky sweaters. The bright colors and designs added a nice touch. Another fabulous night at Styleweek. The concept of diversity still played a key part for each collection. I was also intrigued by listening to what inspired each designer to create their collection.